We went along to the Thai Tho regarding the spur-of-the-moment yesterday, Saturday, once we had been in the area and were quite lucky to have a dining table. We were expected politely if we could we be finished in 90min while they had another booking, that has beenn't a challenge for people. As soon as we left there were several couples waiting for tables, so scheduling is recommended. The environment was lively without being too loud to put up a discussion in addition to décor was fairly regular for a Thai restaurant with lumber carvings etc. The squid tempura was the very best tempura We have previously tasted, with an exceptional light crispy batter and extremely tender squid. Green chicken curry was also great, even though the sauce was some thinner and hotter than anticipated. In general the food was good as well as the service ended up being courteous and attentive. 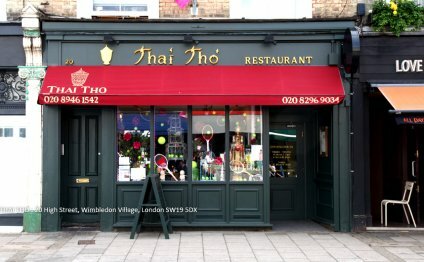 Since I returned house I have discovered that The Thai Tho is part for the 'Fat males' and 'The Thai' set of restaurants in SW and W London, which usually have a very good reputation.